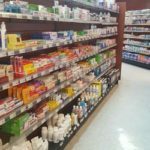 The U.S. Department of Health and Human Services has activated the Emergency Prescription Assistance Program (EPAP) to help residents of the USVI get medicine, medical supplies, medical equipment and vaccines. 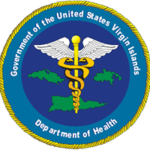 The people of the Virgin Islands have the following choices to receive medical attention at different locations and at different times. People can get free insulin, flu shots and tetanus vaccinations tomorrow at DOH's Charles Harwood Complex. 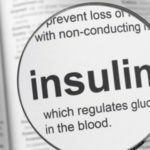 From 10 a.m. to 3 p.m., Wednesday, Oct. 25, the DOH will be distributing insulin to the uninsured and under-insured. During an inspection of the Charles Harwood Complex’s transfer switch on Tuesday, Oct. 17, an explosion occurred, causing power failure to the building. As a result, there is currently no electricity at the hospital. The V.I. 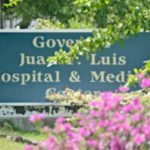 Department of Health between 10 a.m. and 3 p.m., Wednesday, Oct. 18, will be partnering with the Juan F. Luis Hospital and Medical Center. 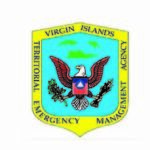 Residents of the U.S. Virgin Islands are warned against the negative effects of carbon monoxide (CO) poisoning. They are strongly warned against the practice of using generators in any enclosed space or indoors. Commissioner Michelle S. Davis has determined that the Charles Harwood Complex is unsafe for employees and patients. U.S. Virgin Islanders could encounter dangerous mold while cleaning up their homes after hurricanes Irma and Maria. Survivors can successfully remove mold and protect themselves and their families by taking a few basic precautions. The following are locations that are currently open and filling prescription medications.